Camels may have helped early Australian settlers navigate the harsh outback, but they’re now viewed as little more than methane-belching pests that trample vegetation and wrestle with cattle for food. 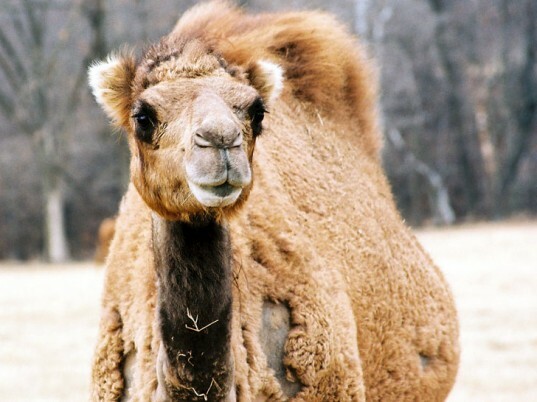 First introduced in the 1800s by Afghan migrant workers, camels have swelled in ranks to 1.2 million, making the continent host to the largest population of wild dromedaries on the planet. But where the Australian government, which has been recruiting aerial marksmen to cull the animals, sees catastrophic damage, Helen Durrant spies an opportunity. The Northern Territory-based designer spins camel wool into yarn, which she then hand-knits into hats, scarves, and other accessories to prove that camels have more to offer than meat and carbon credits. The government-sanctioned extermination is justified, according to officials. Each camel produces 100 pounds of methane—the equivalent of 1.1 tons of carbon dioxide—per year, making the desert creature one of Australia’s top contributors of greenhouse gases. “It was the slaughter of the camels that lead me to utilizing camel wool,” Durrant says. Camel wool has amazing properties, Durrant notes. Baby camels provide a soft down that spins into a silky soft yarn. (“I love the feel of it in my hands and you will love to wear it,” she says.) Mature camels, on the other hand, have two coats. The rough outer layer provides the perfect raw material for hard-wearing rugs, tote bags, and wall hangings, while the soft fleecy interior can combine with merino wool or silk to create a warm and luxurious fiber. Durrant isn’t alone in her efforts to combat the government cull. The Central Australian Camel Industry Association has established camel-trading relationships with countries such as Oman and Qatar. Several other industries are also viewing camels as possible resources. Camel leather, for instance, is distinct in its exceptional tensile strength and attractive grain pattern. 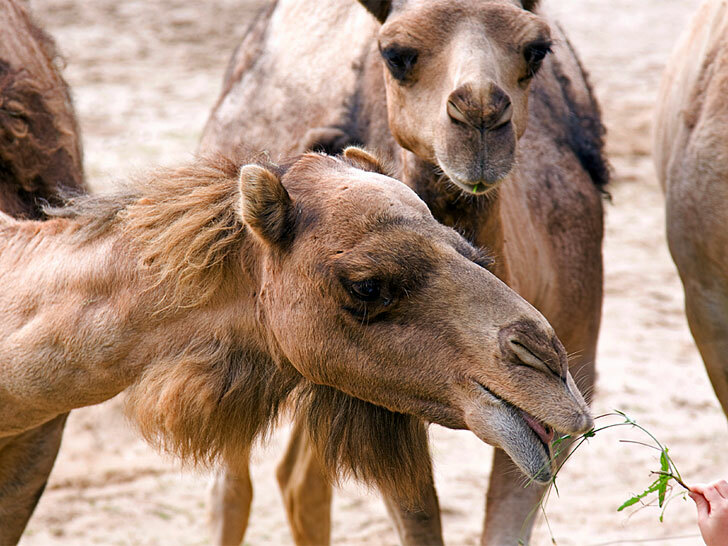 Camel oil is lower in cholesterol than other animal cooking fats, and camel milk can also be enjoyed. “For those with vision, our camels can provide an answer to our future needs,” Durrant adds. May all that have life be delivered from suffering. - Buddha See yourself in Others - Buddha �Truly man is the king of beasts, for his brutality exceeds theirs. We live by the death of others: we are burial places! I have from an early age abjured the use of meat, and the time will come when men such as I will look on the murder of animals as they now look on the murder of men.� - Leonardo da Vinci I care not much for a man's religion whose dog and cat are not the better for it. - Abraham Lincoln "The greatness of a nation and its moral progress can be judged by the way its animals are treated." --Ghandi. "Never, never be afraid to do what's right, especially if the well-being of a person or animal is at stake. Society's punisments are small compared to the wounds we inflict on our soul when we look the other way". - Martin Luther King Jr.(Many people don�t realize that his wife, Correta Scott King and their son, Dexter Scott King are both vegan). Camels may have helped early Australian settlers navigate the harsh outback, but they're now viewed as little more than methane-belching pests that trample vegetation and wrestle with cattle for food. First introduced in the 1800s by Afghan migrant workers, camels have swelled in ranks to 1.2 million, making the continent host to the largest population of wild dromedaries on the planet. But where the Australian government, which has been recruiting aerial marksmen to cull the animals, sees catastrophic damage, Helen Durrant spies an opportunity. The Northern Territory-based designer spins camel wool into yarn, which she then hand-knits into hats, scarves, and other accessories to prove that camels have more to offer than meat and carbon credits.